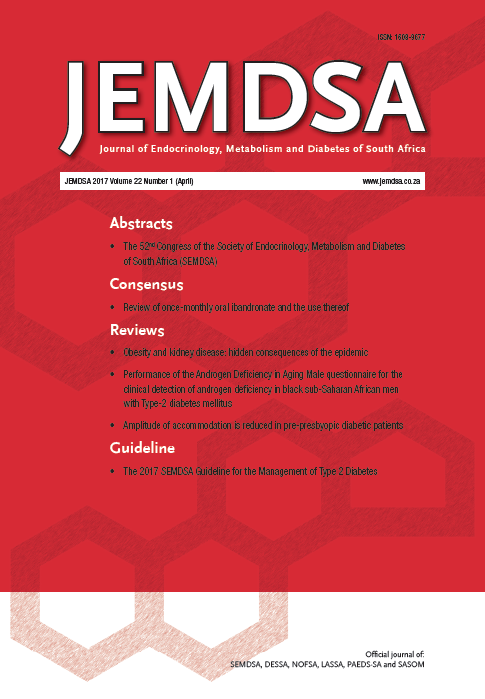 The Journal of Endocrinology, Metabolism and Diabetes of South Africa (JEMDSA) is the official journal of SEMDSA (Society for Endocrinology, Metabolism and Diabetes of SA), DESSA (Diabetes Education Society of SA), NOFSA (National Osteoporosis Foundation of SA), SASOM (SA Society of Obesity and Metabolism), LASSA (Lipid and Atherosclerosis Society of SA) and PAEDS-SA (The Paediatric and Adolescent Endocrine and Diabetes Society of SA). Through stringent peer review, the journal also aims to make a regional contribution to the international knowledge base of endocrinology, metabolism and diabetes and hopes to also offer other African countries the opportunity to make a world-class African contribution. 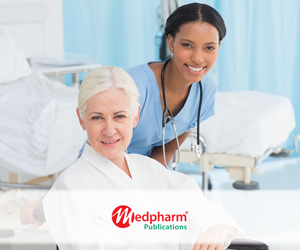 Readership comprises of the members of the various societies, namely general physicians, endocrinologists, diabetologists, diabetes nurse educators, lipidologists, beriatricians, paediatricians, gynaecologists (specialising in osteoporosis and infertility) and general practitioners with a special interest in endocrinology, metabolism and diabetes.